Welcome to PSPVice homepage ... 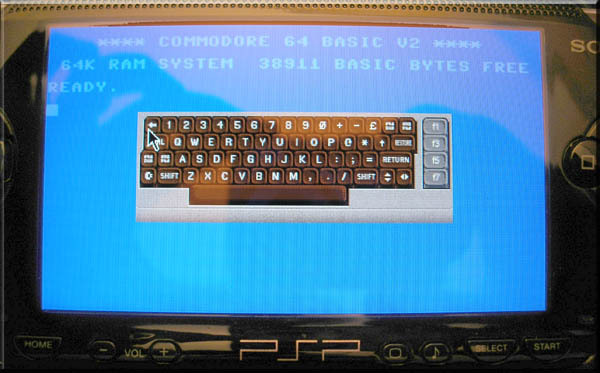 The Commodore C64 emulator for the PSP. How to start a game ? 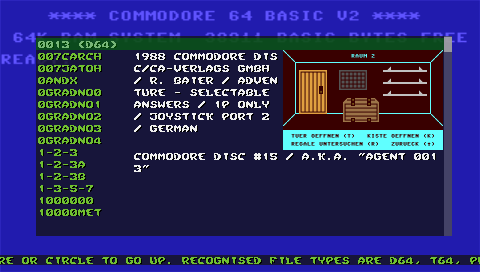 Press START (Menu) then <Autostart disk/tape image> and browse your games with up/down. Select with X. Game will be automatically launched. 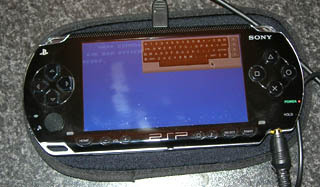 2 Joysticks on one PSP : Using this, you'll be able to play with a friend on your PSP. Sid model and filter : Set the parameters of SID chip. The game is not working, what can I do ? 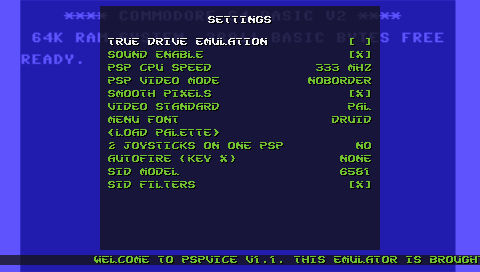 If the game is a disk (D64), you should try turning on the "True Drive Emulation" option. This slow down the loading but emulate 100% the disk drive behaviour and your game will surely run fine. Be aware than PRG load disable the TDE option. 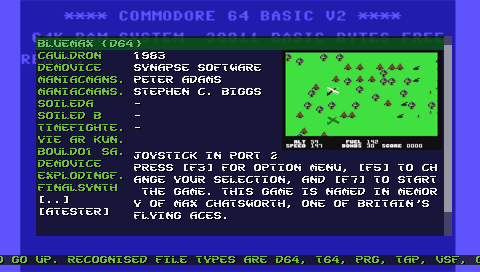 Some few games use PRG+D64, so you'll have to turn on manually the TDE option after the PRG file has loaded. 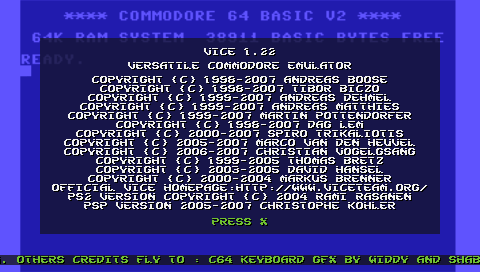 VICE engine can run quite all C64 games, if you have any problem, try first to launch your game on WinVice and check if the game is compatible with VICE. (If yes, then he'll run on PSPVice). 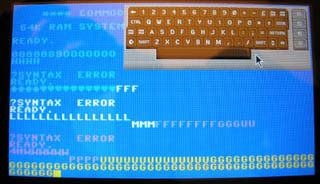 Colin reported me that he had a problem with a D64 file that was in "read only" mode. So avoid using such file properties. 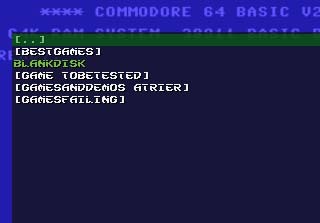 How to change disk when asked in game ("Insert FaceB") ? 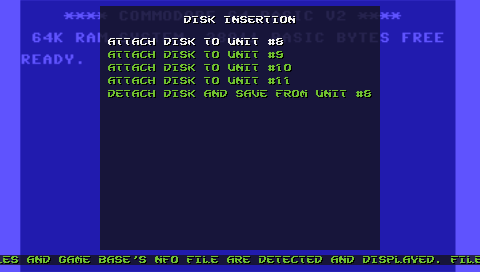 Press START (Menu) then <Disk Insertion> and <Attach Disk To unit #8>. Select your disk. Nothing is saved on disk ? The physical save operation on memory stick is done only when you do "Detach and Save Disk". This is not convenient I know but this is better than nothing. 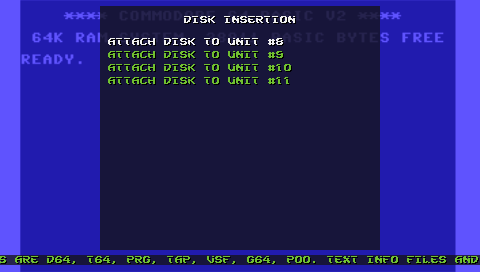 If you type a program and you want to save it on disk : 1/ Attach disk 2/ Type you program 3/ Save to disk 4/ Detach disk (and D64 file will be saved on memory stick). If your are using a save disk from a game 1/ Launch game 2/ attach save disk 3/ save from game 4/ detach disk. Game is slow, what can I do ? 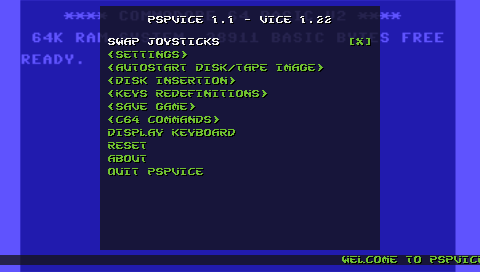 Default game directory is "PSPVice/games". You can browse any memory stick directory with the browser. You can ZIP files. Multiple files in one zip are allowed. You can create one using the Menu -> Save Screenshot function in main menu. Description text is displayed when a "Diskname.txt" file is found. 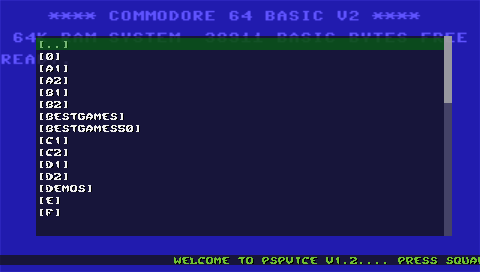 PSPVice also support the gamebase zip files (disk + nfo file). Nfo files are automatically displayed. Moreover the joystick configuration is read from nfo and automaticaly used. Save your game on memory stick. 4 slots are available. A screenshot is saved with file. 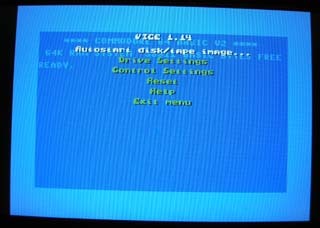 File are saved at VICE ".vsf" format and to reload them use the <Autostart disk/tape image> function in main menu. 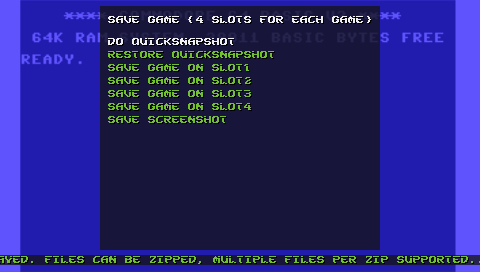 Quick Snapshot : Save emu state to memory (beware the game is not save on memory stick, use "SaveGame" option for that). 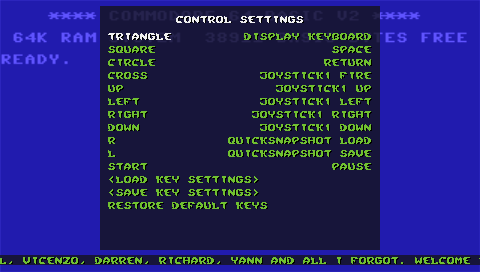 Use TRIANGLE key (or menu or any redefined key) to display keyboard. Use Analog stick to move cursor, and X to press a key. Press SQUARE to press SHIFT and press CIRCLE to press CTRL, this allow key combinaisons. 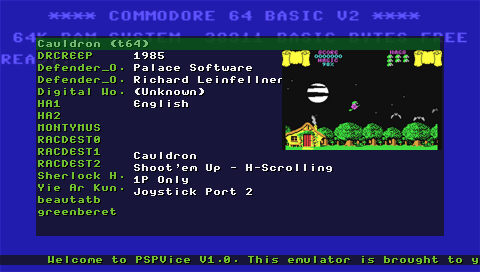 For those who forget about the C64 commands, some are already typed in the <C64 commands> menu. Just select the line and it is typed on screen. 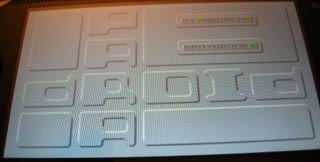 This allow you to configurate the PSP buttons like you want. 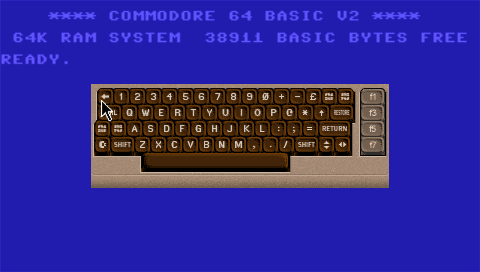 All butons can be assigned to any C64 keyboard key, joystick 1 or 2 or any PSPVice functions. You can Save or Load your own configuration. 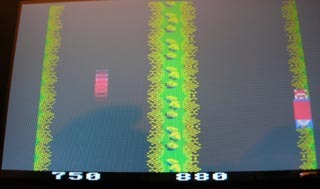 This is very usefull for game that need to be played using keyboard (like David's Midnight Magic pinball) or if you want a more comfortable key configuration (like Racing Desctruction Set where you can remap the acceleration "Joystick Up" on X button). 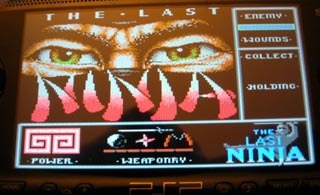 To transfer the full game base 64 data base on your PSP, you have several methods. The simpliest is to copy all the files to your PSP stick. The drawback is that this will waste lot of space on your memory stick and you will not have the screenshots. To known how to proceed to have a perfect gamebase64 on you PSP go to that page. - Keep wifi connexion (for "irshell"). - how about the "refresh rate/maximum speed" options of VICE ? - Gfx keyboard : Change arrows gfx to show wich direction will be used when shift is pressed or not ==> Gfx done, need to insert in version now. 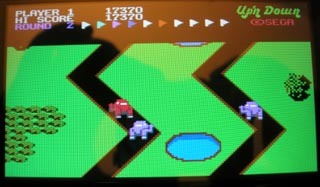 - CAULDRON 1 - CAULDRON 2: some glitches with the audio and the sprite sometime disappear. - Ghost'n'Goblins: some time the audio hangs for the interrupt. - Keyboard ala AFKIM (t9) to speed up the type process. - Some time the keyboard lift on the left without touching the pad. 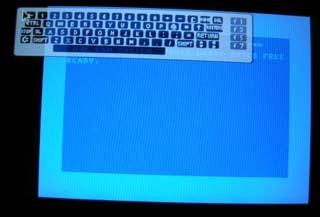 - Vic20 : Change the keyboard display so it looks like a vic20. Darren proposed that one. - Plus4 : PSP hangs if you choose "Video standart"
- Plus4 : PSP hangs if you choose "(Load palette)"
- Optimise a bit to have less slow down (PSP sound fonction is taking lot of time) ==> Done on Aug07, can do much more. 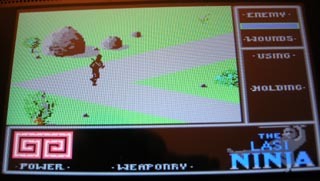 Note : PSP can not support warpmode (not far from 100% in warpmode). Note : For Vic20 version, adjust memory expansion configuration for each game. As I'm lacking of free time to be able to quickly propose new releases, I'd be pleased to be helped by anybody who wants to (code, specify new features, bug report, ...). Do not hesitate to contact me. (use psptoolchain and pspsdk, available HERE, install doc HERE unzip package in sdk samples directory and just type "make kxploit"). The sources include the PS2 original sources, because package is now impossible to find on internet. Have so much fun with PSPVice that you like to donate something ? This is not my first goal, but some really want to contribute so here is a paypal donate icon. 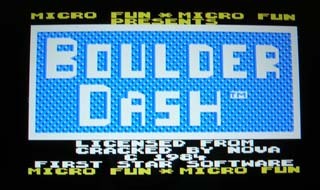 I'll use money to buy some C64 stuffs. - Support huge ZIP archives. - Support GameBase64 format (V05). - Tool for recompressing GameBase and save lot of memory of PSP stick. - Speed up zip parsing. 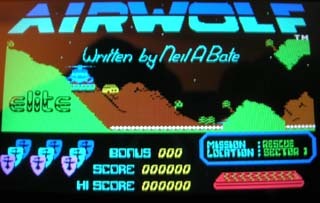 All gamebase directories are there. 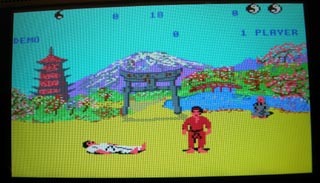 19207 games. 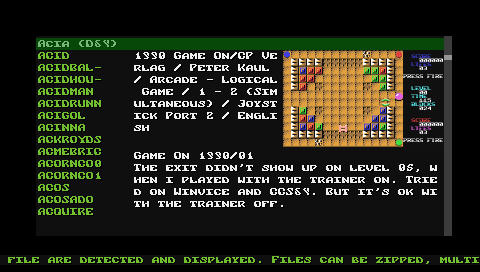 Info and screenshots are displayed. 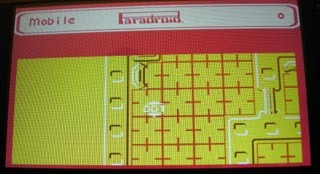 The Joystick settings (1/2) and true drive emulation (On/off) are automatically used. Fast browsing of these huge directories. Some entrie have interesting comments. Discover new games and new info with that great data base.